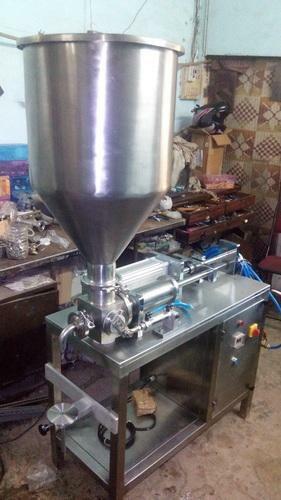 This machine is very useful for filling paste materials.Any volume sizes from 10gms to 1000gms or more available on request.Complete GMP Model, useful for Food and Pharmaceutical purposes also. This machine is very useful for filling paste materials. Any volume sizes from 10gms to 1000gms or more available on request. Complete GMP Model, useful for Food and Pharmaceutical purposes also.